Small-leaved Tamarind is a small, dense tree that produces large orange fruits with a delicious, tangy pulp. This species grows natively in the rivervine rainforest areas of New South Wales and Queensland. Watch for small, cream-brown flowers in November to January, turning to large (up to 6cm across) yellow-brown bulbs in February and April. 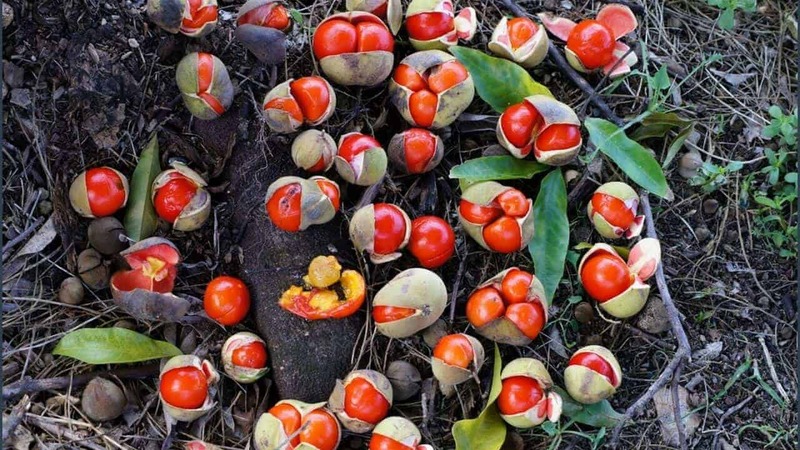 These bulbs will split open when ripe, revealing the bright red flesh of the Small-leaved Tamarind fruit. The flavour is refreshingly tart with a distinctive taste that lends well to both sweet and savoury dishes. Recipe favourites include jams, jellies, sauces, fruit chutneys, spreads and coulis. It also makes a great accompaniment for cheeses and cold meats. 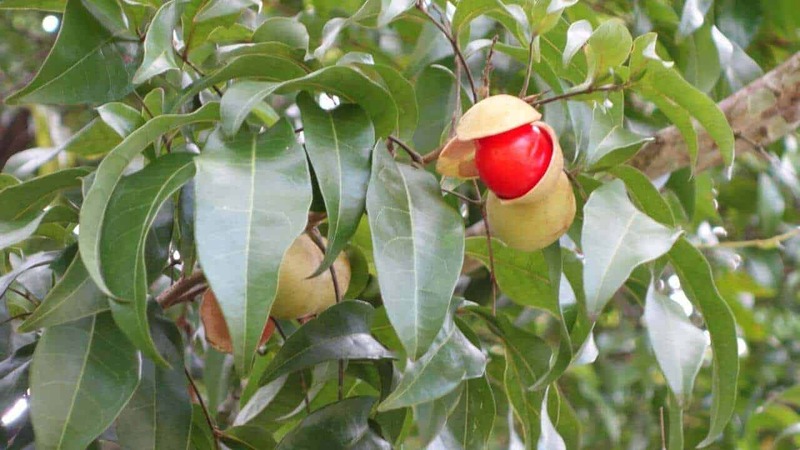 This plant is a prolific fruiter, capable of bearing many kilos in a harvest. 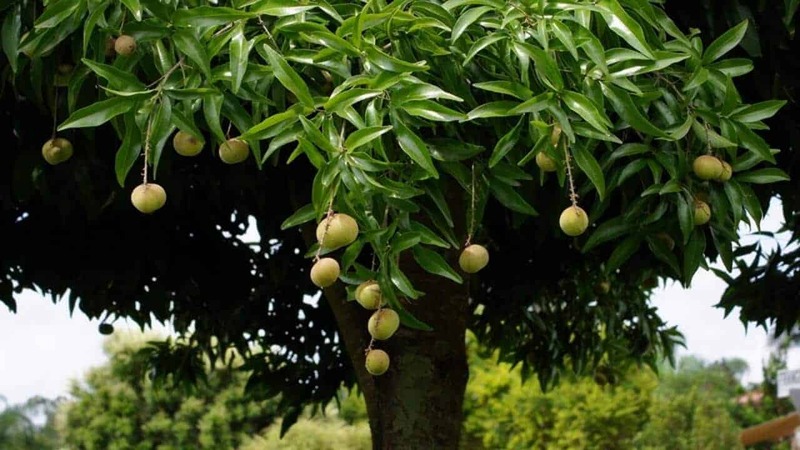 Simply wait for the fruit to split before plucking off the tree. The Small-leaved Tamarind prefers part shade and a well-drained soil that’s rich in organic matter. Keep it watered through the dry season and apply an organic or slow-release fertiliser in the early Spring. This is a beautiful ornamental shade tree that reaches heights of 7-10m in the garden, but may be kept in a pot with regular pruning and care. What are the brown specks all over my Small-leaved Tamarind branches? Your tree may be infested with scale, a type of insect that feeds on the sap of twigs, branches and leaves. You can easily remove these by hand or with a blast of water. Or apply horticultural oil, following the instructions on your spray bottle. Why are the leaves of my Small-leaved Tamarind turning brown at the edges? Young trees are prone to leaf burn in hot dry weather, especially if planted in full sun. Should I be worried that my Small-leaved Tamarind plant is covered in ants? No, but if you notice the leaves browning and dying back prematurely, the ants may be farming aphids on your tree. Either manage the aphids with neem oil or lady beetles, or manage the ants with repellants or physical removal.